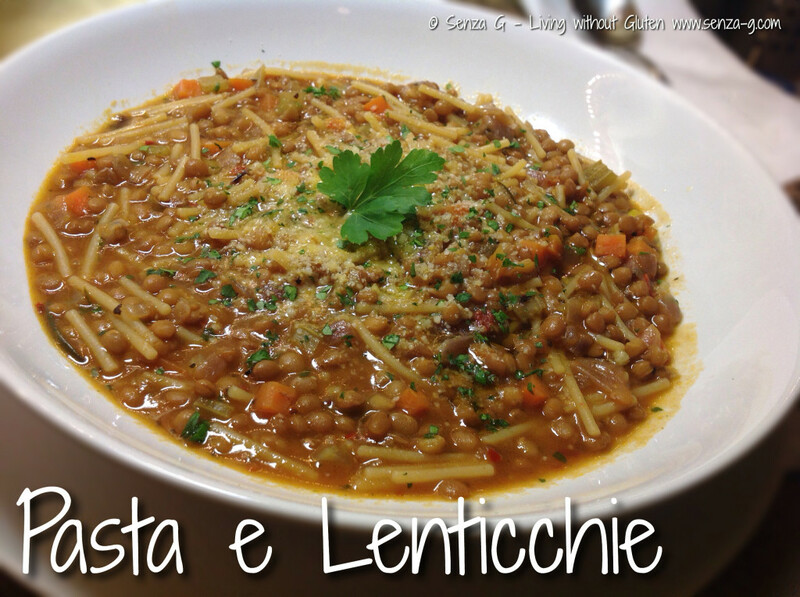 A traditional Napolitan dish, Pasta e Lenticchie is a delicious, filling thick soup which goes down well on a cold winter’s day. The authentic way is by using dried lentils, leaving them to soak and then boiling them for about 45 minutes. In this recipe, I have taken a short cut and used lentils that come in cartons. It goes without saying that Pasta e Lenticchie will taste much better using the dried lentils, but this version still tastes delicious! ** You can use less or more stock as you please. Some like this dish with more liquid whilst some prefer it drier. Sauté the onion, carrots and celery in a little olive oil until soft, then add the pancetta and garlic and cook for a minute. Add also the bay leaf, sage and rosemary. Add the stock and the tomato puree and bring to a boil. Lower the heat, add the lentils, undrained, and simmer for twenty minutes or as directed on packaging. Add the pasta and cook until it is al dente. Remove the herbs. Stir in the parmesan cheese. Season with salt and pepper and Chilli if using. Serve with a drizzle of extra virgin olive oil and a grinding of fresh pepper.